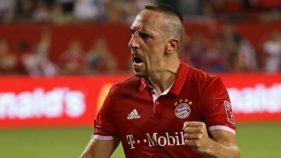 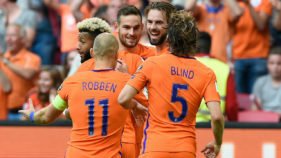 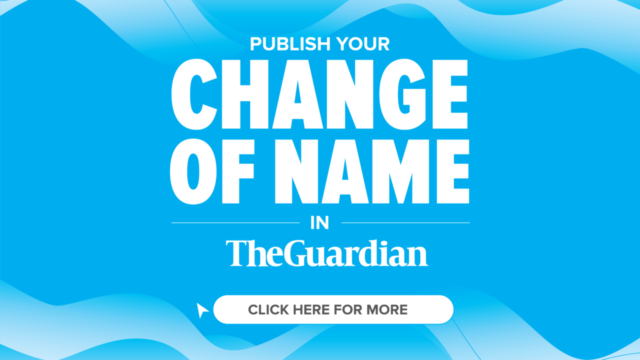 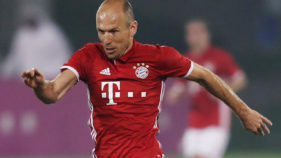 Bayern Munich's veteran Dutch winger Arjen Robben has admitted he is unlikely to make a fairy-tale return from injury in the Bundesliga club's top-of-the-table clash against Borussia Dortmund next week. 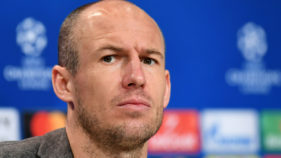 Bayern Munich veteran Arjen Robben said Anfield is his "worst stadium" ahead of the Champions League last-16 tie against Liverpool.Bundesliga champions Bayern will travel to last season's runners-up and Premier League leaders Liverpool for the first leg on Tuesday. 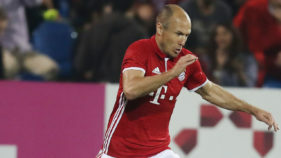 Arjen Robben says Bayern Munich can take nothing for granted against Sevilla in Wednesday's home quarter-final after the Spaniards already dumped Manchester United out of the Champions League. 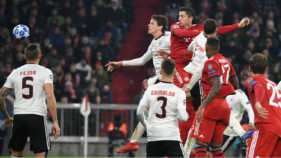 Arjen Robben has poked fun at big-spending Paris Saint-Germain on the eve of Bayern Munich's key Champions League away match in the French capital.